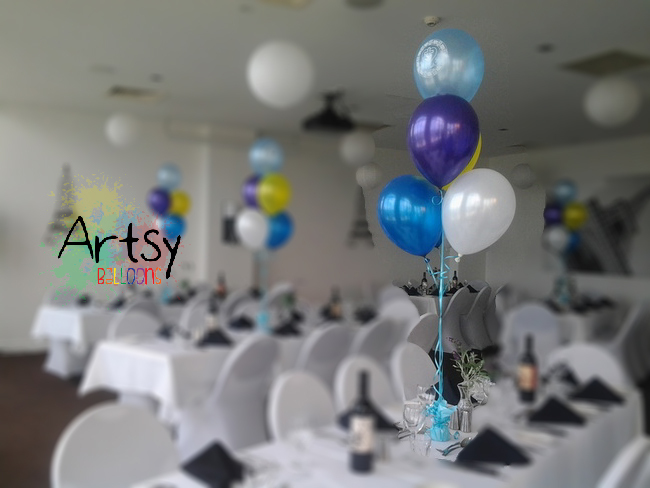 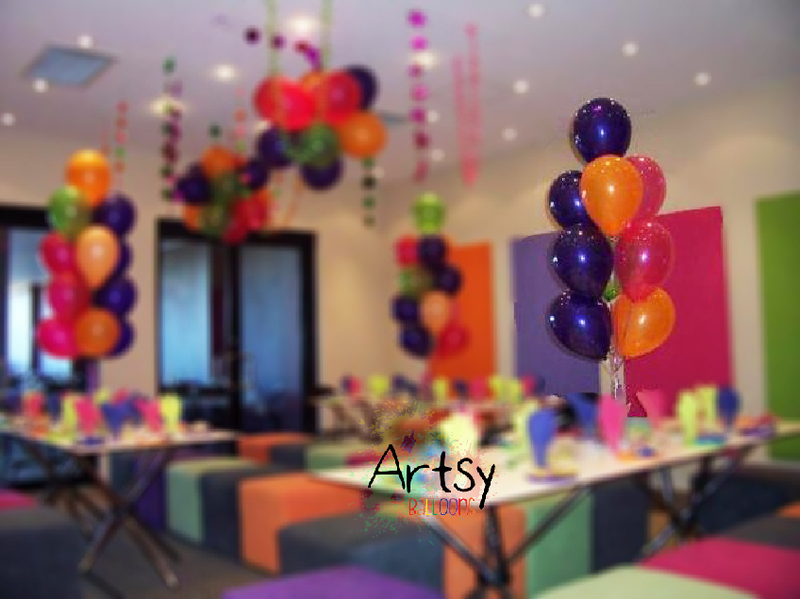 1 set consist of 10 helium latex balloons and tie to a balloon weight. 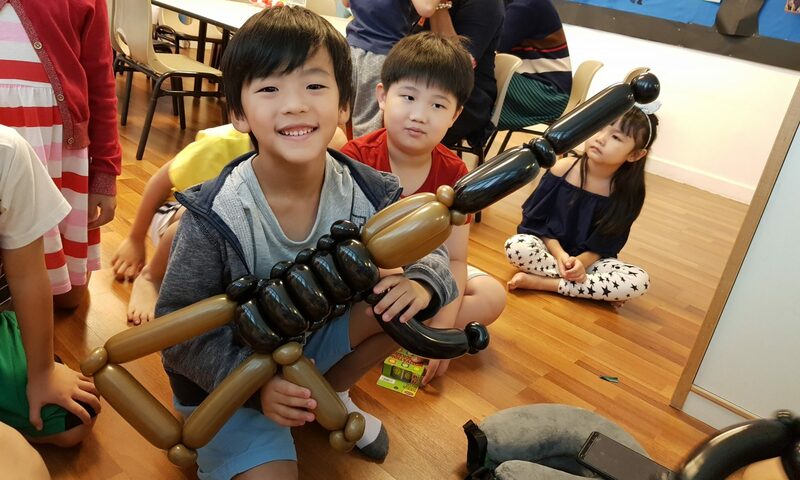 Approximately 1.7 metre in height. 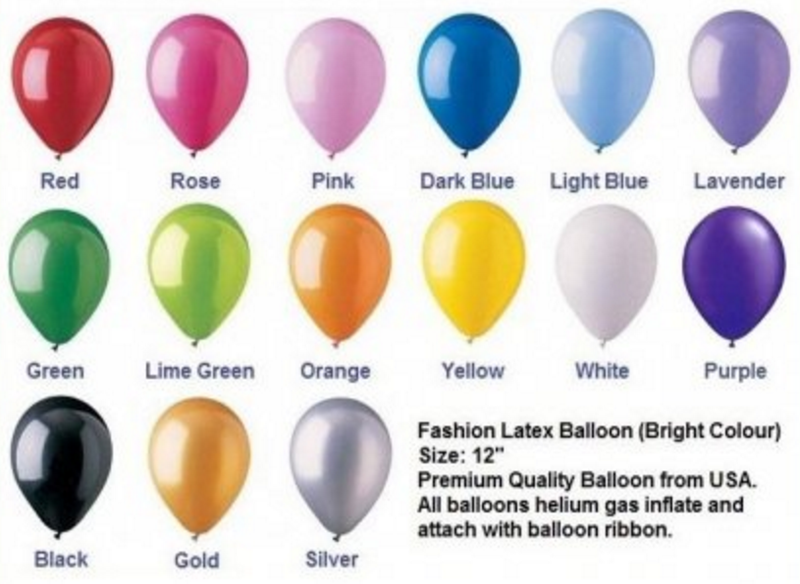 Price included helium gas inflated. 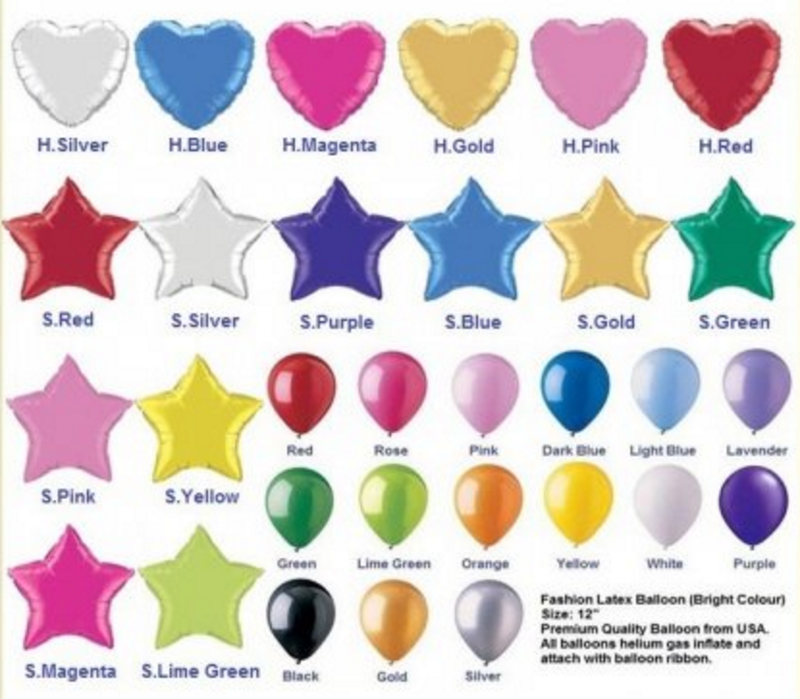 Note: Helium balloon stay afloat for approximately 8 – 10 hours. 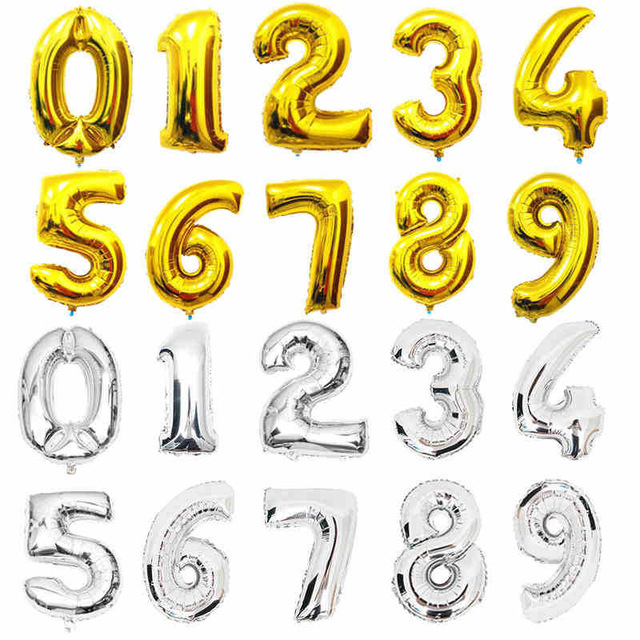 1 x 40″ Alphabet Foil Ballon. 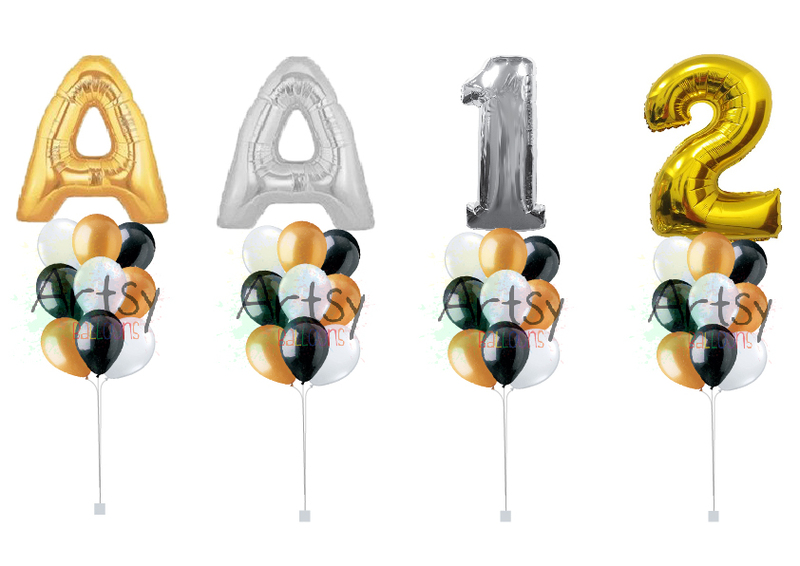 9 x 12” Helium Latex Balloons. 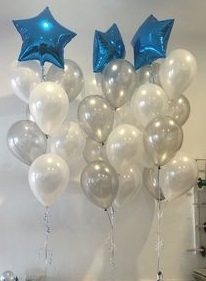 Approximately 1.8 metre in height.